Hiram Lodge, No. 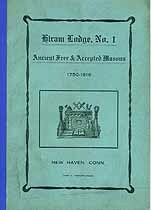 1, Ancient Free & Accepted Masons, 1750 - 1916, New Haven, Conn. Includes a listings of members (with date of admission) from the organization in 1750, to December 31, 1916. Names in this online transcription include Nunziante, O'Brien, O'Neil, Oatman, Ochincoff, Ogden, Old, Olinsky, Oliver, Olson, Openheimer, Ormstedt, Orstsifer, Orswill, Osborn, Osgood, Osmond, Osterweis, Ostrander, Oulne, Oviatt, Owen, Page, Painter, Palmer, Panikoff, Pardee, Park, Parker, Parkhurst, Parks, Parmalee, Parmelee, Parr, Parsons, Partridge, Paterson, Paton, Patterson, Paul, Payne, Peabody, Pearce, Pearse, Pease, Pechelgrew, Peck, Peckham, Peets, Pendleton, Penfield, Percival, Perkins, Perow, Perrige, Perritt, Perry, Peters, Peterson, Petigrue, Petit, Petrie, Pfizemayer, Phelps, Phillips, Phipps, Phoehus, Picant, Pickett, Picksley, Pierce, Pierpont, Pierson, Pillsbury, Pinkerman, Pints, Pittman, Platt, Plimpton, Plyler, Pohlman, Pollard, Pollock, Pond, Porter, Post, Potter, Powers, Pratt, Prentice, Press, Preston, Preuss, Price, Prindle, Prior, Puddicombe, Puklin, Punderson, Quigley, Quinn, Quoranbugh, Radie, Ranlett, Ranney, Ransom, Rapoport, Rawling, Rawlings, Rawson, Ray, Raymond, Read, Redfield, Reed, Reeves, Reggiori, Reichgott, Reid, Rembert, Reynolds, Richards, Richardson, Richgott, Ricketts, Ridley, Riecker, Riggs, Riker, Ritchie, Robbins, Robert, Robertson, Robinson, Rockwell, Roddick, Rodgers, Roessler, Rofes, Rogers, Rogowski, Roies, Ronaldson, Root, Rose, Rosenberg, Rosenbluth, Rosoff, Ross, Rothschild, Rowe, Rowland, Rubins, Ruckholdt, Rudall, Rude, Ruff, Rundlett, Russell, Sackett, Sacks, Sagal, Sage, Sallies, Salsbury, Salvera, Salzberg, Samson, Sanderson, Sandford, Sanford, Sanger, Sarasohn, Saunders, Sawkins, Sayles, Schaeffer, Schappa, Scharff, Schillberg, Schipper, Schmidt, Schneider, Schneour, Schnurmacher, Schoenberger, Scholl, Schroeder, Schuelke, Schuster, Scofield, Scott, Scovill, Scoville, Scranton, Scurrah, Seabrook, Seaman, Sears, Sedgwick, Seeley, Segaloff, Semon, Seymour, Shafer, Shannan, Shares, Sharp, Shaughnessy, Shaw, Shears, Sheffield, Shelly, Shelton, Shepard, Shephard, Shepherd, Sheppard, Sherman, Sherwood, Shipman, Shoars, Shone, Shoninger, Shubert, Shulhafer, Shumway, Shure, Shuster, Sibley, Silliman, Silva, Simmonds, Simmons, Simon, Simons, Simpson, Sisson, Skiff, Skinner, Slack, Slater, Slattery, Sloane, Sloat, Smallman, Smiley, Smith, Snodgrass, Snow, Sodersten, Soholoff, Somers, Southmayd, Southworth, Spalding, Spaulding, Spears, Spector, Speh, Spence, Spencer, Sperry, Spier, Spitzner, Sprague, Spray, St. Martin, Stafford, Standish, Stanley, Stannard, Staples, Stark, Starr, Stearns, Stebeins, Steel, Steele, Steinert, Stephan, Stephens, Steven, Stevens, Stevenson, Steventon, Stewart, Stietz, Stiles, Stillman, Stock, Stockin, Stockman, Stockwell, Stoddard, Stodel, Stokes, Stone, Stoney, Storer, Storrs, Story, Stoveland, Stow, Strack, Strahan, Straley, Stratton, Straus, Straut, Street, Strong, Strouse, Stuart, Sturdevant, Sturges, Sturgess, Sturgis, Svirsky, Swain, Swan, Swanson, Sweet, Sweetman, Swift, Taborini, Tacinelli, Tallmadge, Talmage, Tannenbaum, Tanner, Tarr, Taxter, Taylor, Tendler, Tenyn, Terhune, Terranova, Terrill, Texido, Thalman, Thatcher, Thom, Thomas, Thompkins, Thompson, Thomson, Thornton, Thorpe, Thrams, Throop, Tice, Ticknor, Tighe, Tingley, Todd, Toft, Tolles, Toof, Topping, Totten, Tousley, Tower, Towne, Towner, Townsend, Tracy, Treadway, Treat, Treby, Treloar, Trench, Treuting, Trewin, Troein, Trowbridge, Tucker, Tufts, Tullo, Turner, Tuttle, Twiss, Twitchell, Tyler, Tymeson, Uhlhorn, Ullman, Umsteadt, Unger, Unmack, Upson, Uren, Van Herck, Van Leavan, Vandermark, Vandyke, Veit, Veitch, Ventres, Visel, Vogel, Vogt, Von Bernuth, Vorrey, Wadsworth, Wagner, Waite, Wakefield, Wakely, Wales, Walker, Wallace, Wallbridge, Walsh, Walter, Walton, Ward, Wardsworth, Waring, Warland, Warner, Warren, Warriner, Wartinger, Washbone, Washburn, Waterman, Watkins, Watrous, Watson, Waugh, Way, Weaver, Webster, Wedmore, Weed, Weiner, Weld, Wellman, Wells, Wendell, Wentworth, Werndl, Werner, Werts, Wesson, West, Westcott, Westcut, Western, Westmore, Wetherbee, Wetherwax, Wheat, Whedon, Wheeler, Whitaker, White, Whiting, Whitlock, Whitman, Whitney, Whittemore, Whitten, Whittlesey, Wickes, Wier, Wilcox, Wilcoxson, Wilke, Williams, Williamson, Willis, Wilmot, Wilson, Winans, Winchell, Winne, Winship, Winson, Wise, Wiser, Witherwax, Wixon, Wodward, Wolcott, Wolf, Wolfe, Wood, Woodhouse, Woodin, Woodman, Woodruff, Woods, Woodward, Wooster, Worsell, Worthington, Wright, Wykes, Wylie, Yates, Yemmans, York, Young, Yudkin, Zarbano, Zorkowski, Zunder. The Genealogy Today catalog number for this item is 12213. When inquiring about the information in this resource, please mention the catalog number.